In the delightfully humorous and emotionally stirring blockbuster movie, Forrest Gump, one of the funniest scenes is when Forrest arrives for basic training and an in-your-face army drill sergeant approaches him and yells, “Gump! What’s your sole purpose in this army?” Forrest obediently replies, “To do whatever you tell me, drill sergeant!” The cursing drill sergeant finds this response to be ‘the most outstanding answer’ he’s ever heard and goes on to further praise Forrest. While watching this amusing scene it occurred to me that Forrest Gump’s essential character trait is conformity. And for his conformity, he is frequently rewarded. Because of his ability to conform, no matter what direction life pulls him in; it is easier for him to deal with life challenges. In connection with conformity and challenges, brave men and women of the U.S. military are willing to pay a great price for our freedom. Real-life soldiers proudly serve every day to protect our nation in fierce combat and harsh terrains. While on these missions they depend on specialized equipment and communication devices to function properly in difficult conditions. These mission-critical devices rely on conformal coatings to guard and ‘conform’ to the shape of their equipment; protecting against the effects of environmental extremes. Common conformal coatings used for military applications are acrylic, silicone, polyurethane, but the most suitable is Parylene. Military and defense equipment must operate properly and will need to withstand the most demanding conditions such as, hostile climates, atmospheric pressure, explosion damage, vibration, harsh chemicals, dust, moisture, fungi, salt, sand; essentially anything and everything. Appropriate protection is often required and if these tactical and strategic devices are left uncoated (non-protected), it could result in complete failure of the product. Thus, Parylene conformal coating is the most durable and dependable option for military technologies. Parylene is a vacuum applied conformal protective polymer coating material utilized to uniformly protect any component configuration on such diverse substrates as metal, glass, paper, resin, plastic, ceramic, ferrite and silicon. Because of its unique properties, Parylene “conforms” to virtually any shape, including sharp edges, crevices, points; or flat and exposed internal surfaces. It is also pinhole-free and extremely lightweight. As military and defense devices continue to advance in smart technology, it’s important that these electronic components and systems are being protected. Since Parylene can “conform,” its exceptional coating performance has the ability to withstand ruin. 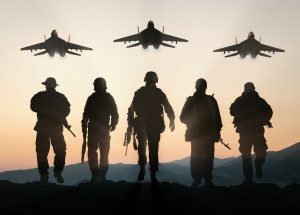 Due to its mechanical, electrical, and thermal properties, Parylene is ideal for use in military applications. Forrest… Forrest Gump exemplifies the randomness of life when he said, “Life is like a box of chocolates. 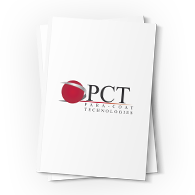 You never know what you’re goin’ to get.” However, with Parylene you know exactly what you are getting, which is ‘the most outstanding’ coating technology available. Parylene’s ‘sole purpose’ for military and defense equipment is to provide dependable and reliable conformal coating protection. To learn more about Parylene and its benefits, contact us today! To all the American service men and women… Para-Coat Technologies thanks you for your service.